Providing only the best DC Domestic Care is what ABC Nannies do best! 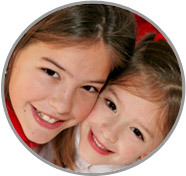 Why Choose ABC's DC Nanny Agency? What ABC will do for You! "What impressed me the most about working with ABC Nanny Source was the level of detail and organization in which such confidential information was presented. I received an extensive profile of each NY nanny candidate prior to her coming to my home for an interview. Once each nanny arrived at my door, I was fully relaxed because I felt I already knew the person in front of me! That’s how detailed these profiles were. The process was made very easy for our family and within a matter of days, I hired the perfect nanny for our children!" There is no better DC Domestic Care Provider than Christina, due to her true love and devotion to children of all ages. "If I was asked to describe in one sentence the reason I have chosen to be in the Nanny DC Domestic Care profession over any other it would have to be because I love working with children, helping them explore their skills and talents, and develop into wonderful young-adults. I have been serving in some form of childcare experience for over 4 years and can honestly say I am excellent at what I do! I feel the children are Gods love in physical form. My goal as a Nanny is to instill knowledge and etiquette. Also, to show love to every child I come in contact with. I am willing to do light housekeeping that includes tidying up the kitchen, cleaning toys from activities throughout the day. If I had to describe myself in five adjectives I would say that I am loyal, spiritual, honest, goofy, and nurturing. Activities that I would like to incorporate in the daily plan for the family I care for would include reading, sports, nap time, and art. If asked to describe the perfect family seeking a Nanny like me I would hope they would be honest, trustworthy, and reliable." "Christina was enthusiastic and warm and loving. She is just an all-around genuine, down to earth person who really enjoys children. She did her job well and is now considered part of our family. Christina is very patient and has plenty of energy to work with children of all ages. I highly recommend her! She is so thoughtful and kind and would be a great asset to any family." "During Christina’s time here, I have been able to evaluate and assess her skills as a teacher and it is with great pleasure that I recommend her. Christina is a great teacher. The children in her care have grown very fond of her and enjoy the time spent in her class. Her teaching style and lesson plans, creative bulletin boards make the classroom and learning and fun, easy, and effortless for the children. When the children left her class, they were more than ready to face the challenges of their next grade level. Christina is also an exceptional employee. She is dependable, has strong leadership skills, is a hard worker, is willing to go above and beyond the duties of her job, and has a natural gift for what she does. Christina has been and is an asset to DC Domestic Care and I am sure that she will be nothing less than that at your family." "Hiring Christina for a DC Domestic Care position has been one of the best decisions we have ever made. She is one of the reasons for the success in the quality of programming in the Pre-K classroom. During the year of working with together, I have found Christina to be a genuinely hard worker and constantly professional. She is not only successfully at managing great relationships with a staff of more than 30 caregivers, but has a wonderful rapport with both children and parent. Overall, I find her to be an engaging, well-organized, reliable and communicative individual. I recommend Christina to you without reservation!" "Christina went above and beyond what I needed her to do for my children. Christina was always there when I needed her last minute to care for my boys or if something came up. She’s so helpful and understanding. When my sons were in her care I just knew I wouldn’t have to worry about them. She works incredibly well with children and I recommend her as a very understanding and dedicated childcare provider." "I have known Christina for seven years and have admired her creativity and positive attitude. As a DC Domestic Care provider, I found her to be extremely caring, energetic and sincerely compassionate towards each child. The rapport she established with her colleagues, the children and their parents is admirable. Christina was not only my children's teacher, but she was also a devoted child care provider for my children and always provided an exciting atmosphere filled with fun and games. In summary, I highly recommend Christina for any position or endeavor that she may seek to pursue." Feel free to call 202-244-5515 today to speak with a placement counselor in more detail so you can find your DC Nanny right away!